Nick Apostolopoulos Iglesias (11 May 1997) is an Australian / Spanish midfielder who plays for Adelaide United FC in the Australian National Youth League. 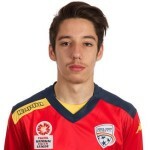 Nick Apostolopoulos began his career with local clubs Caulfield United South East Cougars. Nick is also an accomplished futsal player having represented and Captained Victoria at varies youth levels, winning 2 national championships in the process. 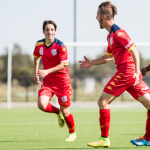 In 2012, Nick was awarded a full-time scholarship at the Football Federation Australia (FFA) National Training Centre, remaining there for the next year. 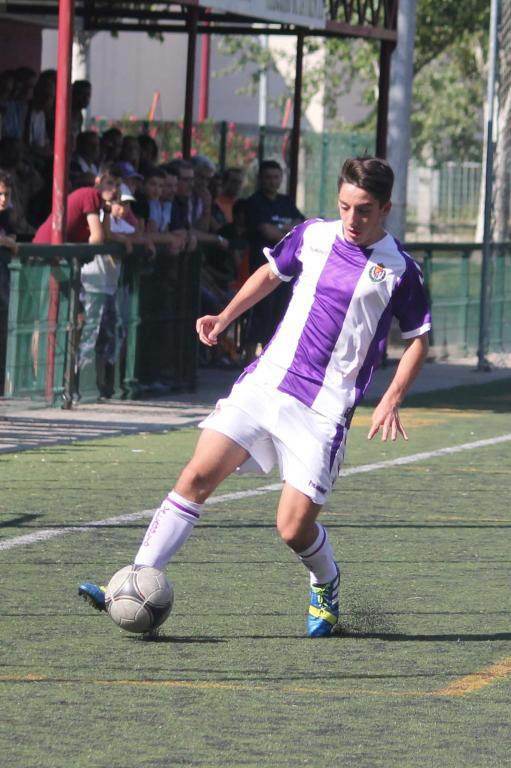 In 2013, Nick Apostolopoulos was invited to trial with two Spanish first division clubs, Rayo Vallecano and Real Valladolid. 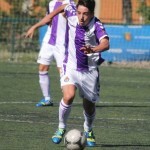 After successful trials and contract offers from both clubs, Nick signed for Real Valladolid to play in the club’s youth team. 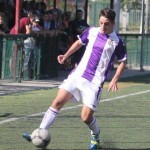 Nick went on to make 15 appearances for the club in the 2013/14 season. 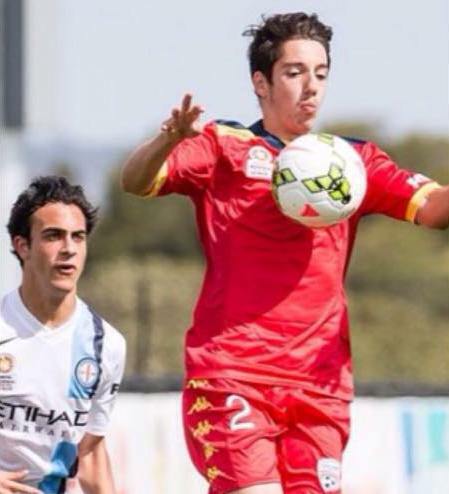 Nick Apostolopoulos returned to Australian mid-2014 and was invited to train with A-League club Adelaide United. 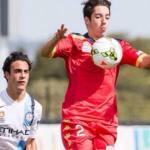 Impressing Head Coach Josep Gombau, Nick was signed by the club in October and will play for the Reds’ Youth team. Key strengths: technical ability (particularly first touch), balance, ball handling, evasiveness and passing technique, along with tactical insight and a winning mentality. 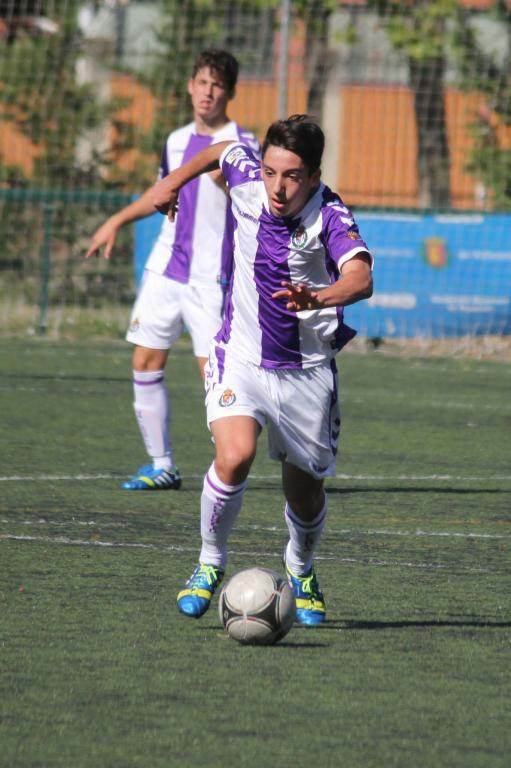 Predominantly right footed, however proficient non-preferred left foot, particularly passing speed and accuracy. Very composed and effective at finding solutions to maintain possession in tight areas under pressure. Excellent positioning, including creating supporting angles, body positioning and spatial awareness (scanning or checking shoulder), particularly when supporting the back four in playing out from the back. Advanced movement and timing, such as vacating or entering space within specific midfield rotations. Efficient distribution, very rarely loses possession. Excellent defensive positioning and efficient movements, along with advanced tactical insight to intercept passes and block passing lines. Good in transition, both BP-BPO and BPO-BP. Excellent attitude, intelligent, good communicator, motivated, decisive, competitive, respectful and willing to learn. *Report by Football Federation Australia (FFA) / Football federation Victoria (FFV) National Training Centre.